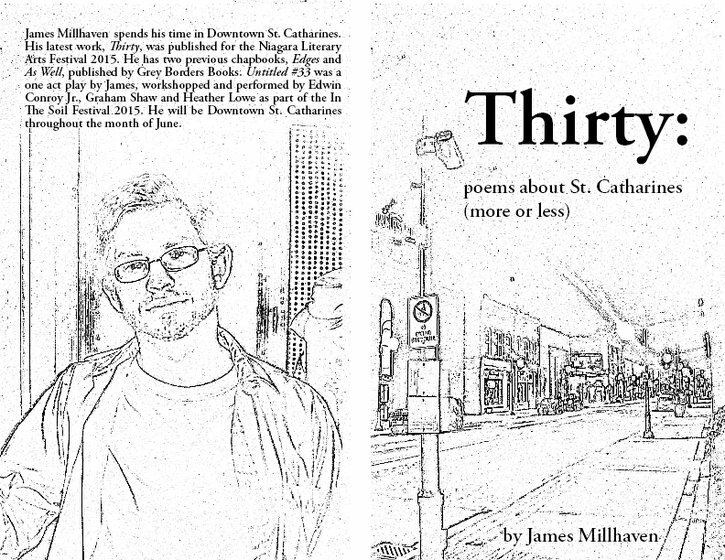 St. Catharines doesn’t have a book publisher. We haven’t had one for a very long time. If you want your stories told, you have to convince someone somewhere else that life here matters. Why would they care if nobody here does? But there is an alternative, and evidence of a rising current of care: make the book yourself, exactly as two local groups have recently done. The first work to consider is an academic adventure by two Brock Professors Catherine Parayre and Leslie Anne Boldt. Working with the Niagara Artists Centre, they recently released Figuring It Out: Disfigurement in Twentieth- and Twenty-First Century Art and Literature. This is, without a doubt, the most ambitious design for an academic book that I have ever seen. Each of the seven chapters are published as a separate staple-bound pamphlet with bright yellow covers. Accompanying these chapters is a string-tied folder containing 20 full-colour plates of illustrations. The entire set is packaged in an ebullient turquoise and magenta box. Their project explores the idea of disfigurement—the strange beauty of broken bodies and objects in art. Most of the artists are from all over the world, but many local artists are also represented in the project, including Carrie Perrault, Jay Carrier, Adam Dickinson, Catherine Heard, Gary Barwin, and (full disclosure) myself. They have disfigured the academic book, making it at once more accessible and desirable, and broken new ground by doing so. As evidence that people do care, it is for sale in bookstores from Hamilton to Vienna. You can find copies at the NAC (354 St. Paul). The city that once was is crumbling. The city that might be is awkwardly emerging from the debris. The stories of that transition matter as we come to terms with what is being left behind and what might replace it. Whether through online, another city’s press, or by your own labour, publish, my city, and help manifest what possibilities you can imagine.